Launched in 2012 to celebrate the 100th anniversary of FORTIS, this B-42 STRATOLINER CHRONOGRAPH in Steel PVD black/ rose gold was produced in a limited edition of 100 pieces. Equipped with Swiss made ETA 7750 movement, this timepiece displays chronograph functions with tachymeter and day/date indication in addition to normal timekeeping functions. The Steel PVD black/ rose gold, polished, three-part case measuring 42 mm is fixed with a rose gold bezel featuring tachymeter scale. Crown and chronograph pushers are crafted in 18 carat rose gold. The Bi-colour black matt/5N rose gold dial features flange with 25/100 and hour/minute indication, and the Arabic numerals, indices and hour/minute hands are embossed with Superluminova white for high legibility during poor light conditions. The triangle at 3’o clock illustrates the direction of rotating the crown for quick adjustment. When it comes to chronograph section, the 30-minute counter is positioned at 12’ o clock and 12-hour counter is at 6’o clock. 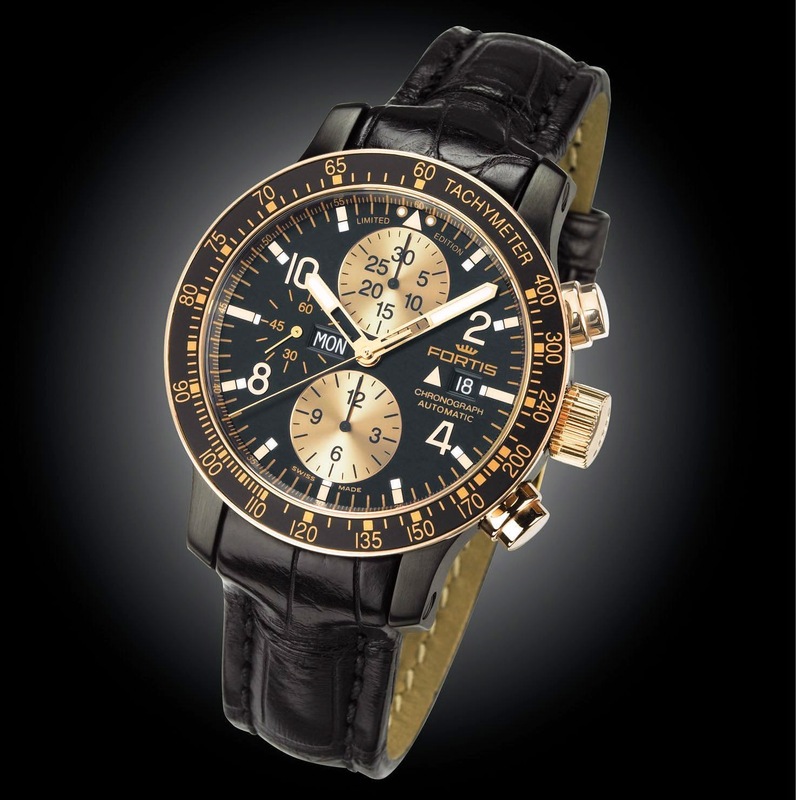 The Chronograph counters – 30-minute counter & 12-hour counter – are in rose gold and feature black matte hands. 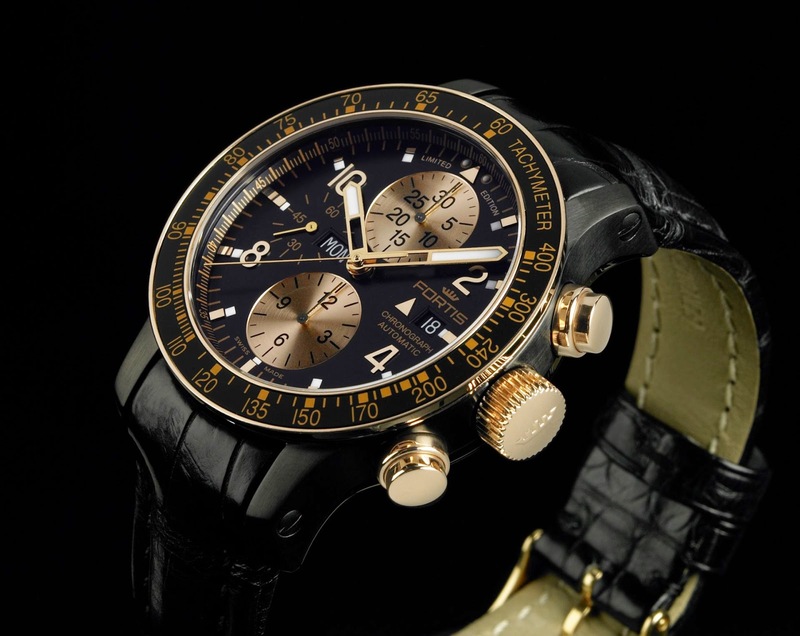 A golden central hand looks after chronograph 60 seconds function. The small seconds counter in black shade at 9’o clock has golden Arabic numerals, indices and hand. The Day window is positioned at 9’o clock just right side of small seconds dial and the date indication is at 3’o clock.